What happens when you cross a pure Afghan with a Northern Lights and a Skunk ? You get an Indica Crystal Extreme aka ICE plant that is fully covered in resin glands. The buds produced by this magnificent hybrid were so frosty, so sparkling, there seemed no more fitting a name than ICE. For any grower that enjoys making hash from their plants, this is the best feminized variety from Royal Queen Seeds for making hash. 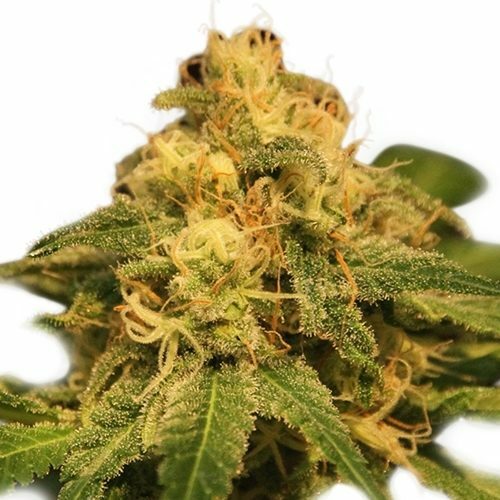 Royal Queen Seeds Ice Feminised, being an indica dominant like the original, is a very short plant growing no more than 1 m tall. Although short in height, pinching or topping can force it to bush out sideways, producing a bigger yield. Growers will observe this cannabis plant displaying classic Indica features with big fat leaves. Sometimes removing the fan leaves on top will allow the lower branches to grow more. 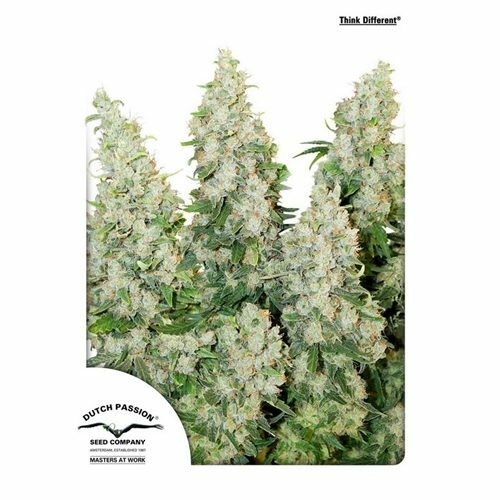 ICE feminised cannabis seeds isn’t the biggest producer, yielding about 55-65 g per plant, or 300-400 g per square metre under a 600w light. It prefers a warm climate like Spain or California and will not flower too well in northern Europe (UK, Netherlands- Indoor growing is needed). 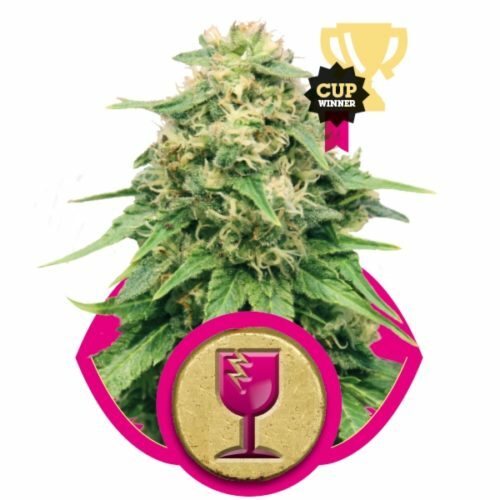 ICE feminized from Royal Queen Seeds will be ready 8 weeks after flowering; however, a lot of growers leave it longer, until 10 weeks, to maximise the resin content. 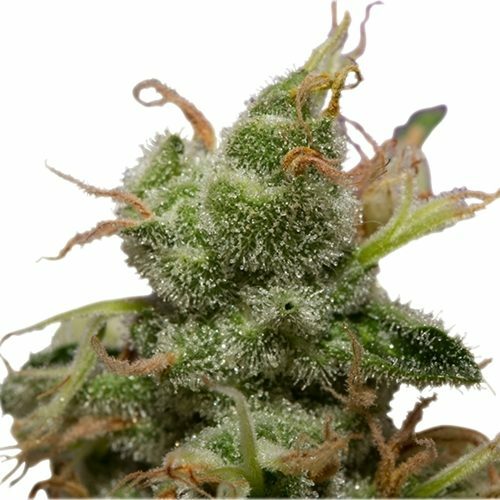 During its flowering period, we are sure you will find ICE one of the most beautiful Cannabis plants to grow as it simply shines with resin glands. While ICE Feminized might not be their biggest yielder, it makes up for that with its smoke. The heavy indica dominant, with its frosty-covered nuggets, all combine to produce a heavy, physical stone. 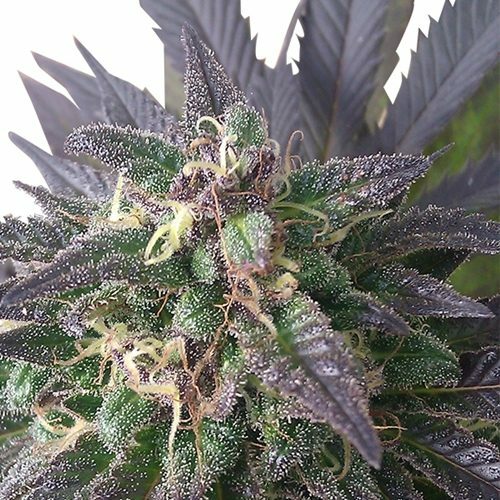 This is a classic couch-lock cannabis strain that leaves smokers so relaxed and chilled-out that users are advised to use just before bedtime. Veteran smokers who seek a battle for breakfast need seek no further that our ICE feminized. What ICE lacks in yield it will make up for with hash-making; Ice-o-lator, Ear wax, Buddha etc. We are certain that even the biggest hash head will be pleased with the produce from leftover plant material. No other marijuana plant from Royal Queen Seeds is as suited for hash production as ICE.